Sometimes nature needs a little helping hand and Darphin knows just how to help! 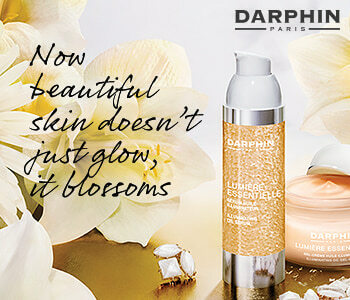 This brightening range will infuse life into your skin and reveal its radiant ‘inner beauty’. Created to boost luminosity and reveal a radiant glow the range is full of iconic products that you won’t want to be without. Suitable for all skin types and those wanting to boost radiance and vitality. This range is the perfect skin ‘pick me up’.